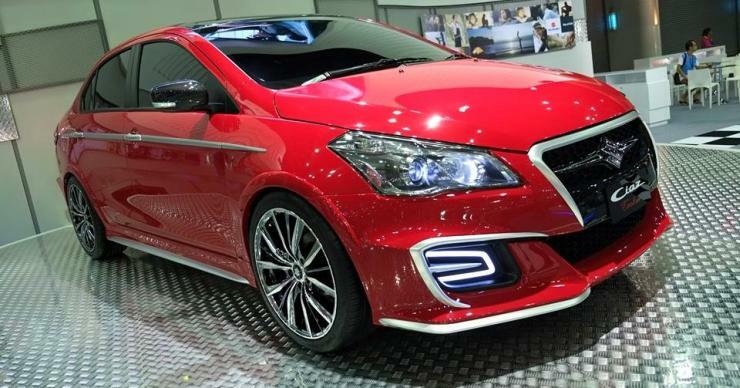 Maruti Suzuki’s segment leader, Ciaz will replace by a facelift model soon. As per reports, Maruti has discontinued the top-of-the-line Ciaz RS, making way for the new model. The Ciaz RS was first introduced in 2015 as a racier version of the sedan. The moniker means Restless Spirit and gets many additional changes like body kit and all black interiors. The new Ciaz will be launched through the premium Nexa dealership network of Maruti that also sells Baleno and S-Cross currently. The new Ciaz will also get 1.6-litre diesel engine that also powers the S-Cross. The multijet engine produces a maximum of 118 BHP and 320 Nm on the Maruti’s crossover but Maruti may rework the engine to make it more suitable for the Ciaz. Apart from the new engine, Maruti will continue to sell the Ciaz with the 1.3-litre multijet engine too. The 91 BHP-130 Nm engine will come with mild-hybrid technology like the current model. The same technology will also come with the 1.6-litre engine option. The 1.6-litre engine, however, will be reserved for the top-of-the-line models of the Ciaz, similar to the S-Cross. The Ciaz became the first car to receive FAME incentives in India after the introduction of the mild-hybrid. Maruti is also working on a lot of other new models that will come to India soon. This year, Maruti will launch the all-new Swift and all-new DZire in the market too. The other launches this year includes S-Cross crossover. Maruti recently launched the Ignis in the market, which replaces the Ritz. The company has been working on revamping the line-up and shed its image of not being youthful. The Indian major will also bring the all-new WagonR and Alto next year in the market. We may also see the new Jimny that will replace the current Gypsy by early 2018 in India.